This page lists the Key Donors who made our 2015-16 Challenge Match possible. These Key Donors together donated over $30,000 for the William A. Kerr Foundation Challenge, and an additional $30,000 to the Pat Jones Challenge--with the challenge to all the other MoBikeFed members and supporters: Can you match this amount? 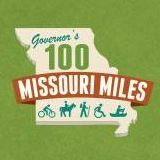 Our annual Year-End Fund Raising Challenge brings in the core of the funding that makes our organizations financially stable and helps make our Vision for Bicycling and Walking in Missouri a reality. If you would like to become a Key Donor for the current year, please contact director [at] mobikefed.org or call 816-336-2550. If you should be listed and are not or if you would like to make your listing anonymous, please email or call the Executive Director (director[at]mobikefed.org or 816-336-2550).